The Alaska Native Studies Blog: An Interview with Elaine Chukan Brown: "Claim the Blessing of Every Challenge"
An Interview with Elaine Chukan Brown: "Claim the Blessing of Every Challenge"
Hawk Wakawaka Wine Reviews (wakawakawinereviews.com) composes a thoughtful and stirring website by Aleut and Inupiaq writer and artist Elaine Chukan Brown. Berkeley's renown Kermit Lynch Wine Merchant describes the quality of work achieves "a new standard for wine reviews." The site consists of personal interviews with vintners, winery tours, and of course thorough wine appraisals articulated in the most delicate prose. 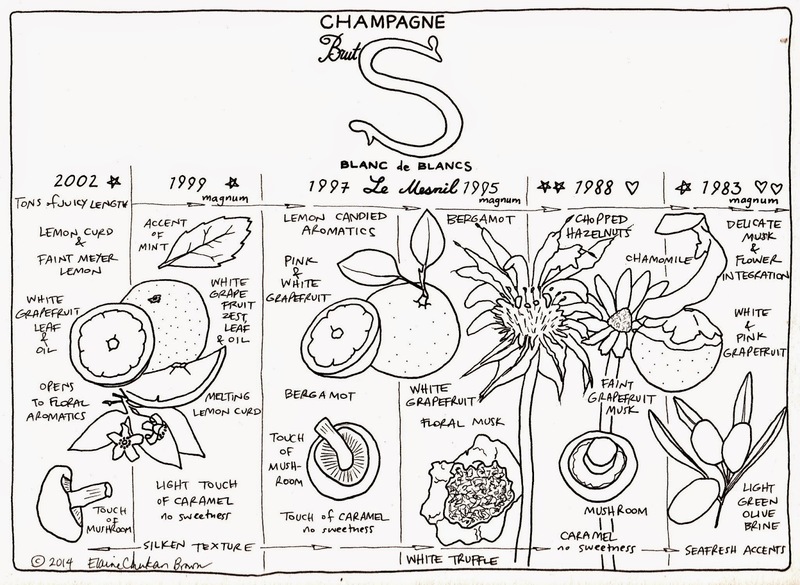 Along with this, she provides drawings that involve the wine she reviews, often she illustrates the complex nuance of a particular wine by picturing the literal things that vintage taste like. Due to the success of her work in the field of wine, Imbibe liquid Culture Magazine chose her as one of the 75 People to Watch in 2014. Elaine Chukan Brown was born in and raised amongst a Native fishing community in the Bristol Bay region of western Alaska where she learned Native traditional ways and values. Following in the family business she began set netting at 9 years of age and was in operation of her own fishing site by the time she was 13. After graduating from high school she double majored in philosophy and english at Northern Arizona University graduating with honors and there upon entered graduate school at Mcgill University in Quebec, Canada. 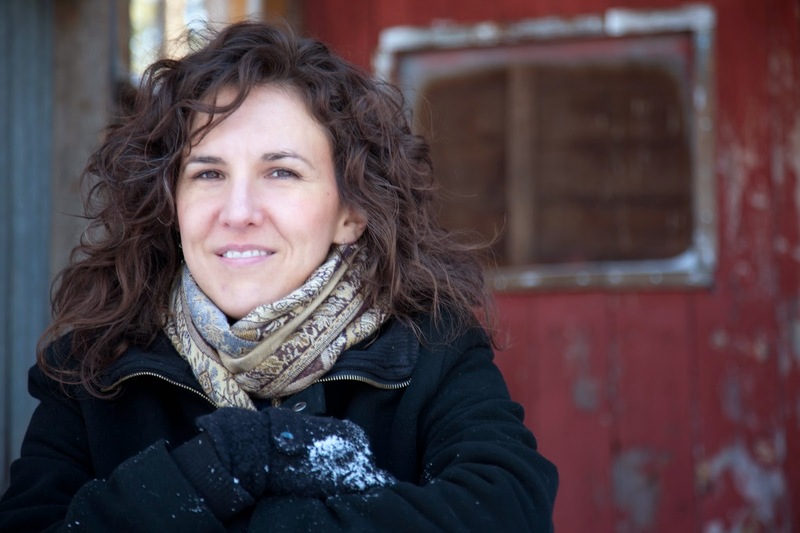 In 2010 she was appointed the prestigious Eastman Fellowship at Dartmouth College in New Hampshire where she continued to write and think about Native issues. Cambridge Scholarly Press, Fulcrum: An Anthology of Poetry and Aesthetics, Letters to the World: An Anthology, have published her scholarly works. Then turning her interests from higher education Elaine Chukan Brown formed a career with Hawk Wakawaka Wine Reviews, based in Sonoma, California. Her writing on wine and wine culture has been published in Wine & Spirits, World of Fine Wine, Men's Health, and San Francisco Magazine, among others. She graciously agreed to an interview here on Alaska Native Studies Blog, below. "A wine drawing philosopher with a heart of gold." Question: Hawk Wakawaka Wine Reviews enjoyably showcases your writing as well as your knowledge of food and wine, yet you also include your artwork. I think your drawings give the blog a disarming and personal feel. Was including artwork on the site part of the plan all along? How did you develop your style as an artist? The work I'm doing now in wine actually originated as only drawings. The writing didn't really start on my site until after I'd fully left academia. When I decided to leave my academic career I needed an outlet that was different than the purely intellectual work I'd been doing in philosophy, so I started drawing and making comics. I just needed something completely different. Getting trained as a philosopher is so thoroughly intellectual that it was easy for me to almost go too far following an idea trail in my head like I'd gotten lost in another world. It felt hard to come back to have more normal conversations sometimes. Drawing became a way to calm that down, to relax that intellectual center in my head, and help me feel more human again. At the same time, I am someone that thirsts for that thorough going study that I found in philosophy so I need the writing too. Writing for me is a way to learn, explore ideas, synthesize thought, and connect all at the same time. So, now I go back and forth between the writing and drawing. I'd studied art history, photography, and sculptural arts before but hadn't really focused on drawing. I didn't think I had any talent for it. Leaving my academic career felt like such a huge risk, why not draw? In comparison, drawing was no risk at all. So, I started drawing and in the midst of that came up with the idea to draw wine tasting notes, instead of just writing them. It turned out no one had done wine comics like that before, so in coming up with the idea and doing them I accidentally opened the door to my career in wine. 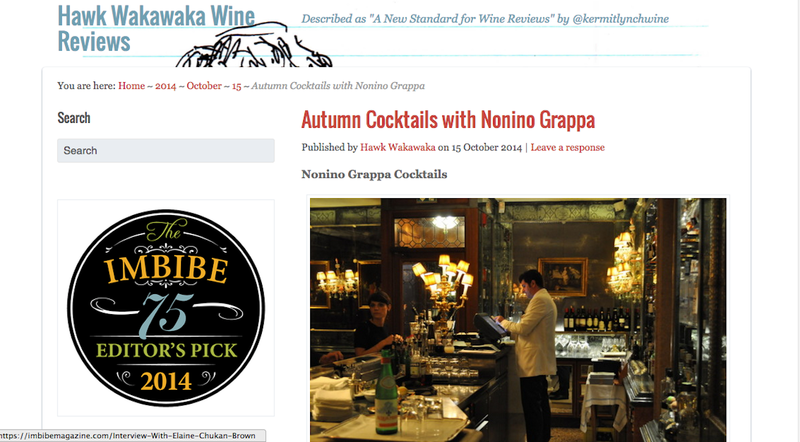 Question: Does your Alaska Native upbringing contribute to your work on Hawk Wakawaka Wine Reviews? With this question, I mean to inquire if your interests in food and culture found ignition by growing up with an Alaska indigenous subsistence lifestyle? There are so many ways the work I do now depends on how I grew up. Alaska is the most untamed landscape of the United States. Sonoma, California where I live now is basically all farmland but even that feels like living in an urban center compared to the remoteness of Alaska. Alaska is full of incredible smells too from all the plants, animals, earth, changing seasons… There is always some slight wind. It's always full of smells. Growing up I was always walking around smelling things. I wanted to know where the smells came from. I found out later my uncle did the same thing. They used to call him Nose. The various foods I grew up with too are irreplaceable. You can't find muktuk and seal oil in a restaurant; a few countries do have dried fish though. I don't get to eat those foods anymore. Losing all those scents, and my Native foods by leaving Alaska made me voracious for scents and flavors elsewhere. Traveling to study food and wine culture around the world is the only way to fulfill that. There are so many scents in a glass of wine. Sometimes I have to take a break and just live in them. Question: Your journey from Native fisherwoman to scholar to entrepreneur is the stuff of harrowing novels, can you speak to this fascinating trajectory? How does a young woman go from mending gillnets in Western Alaska to pursuing a graduate degree in philosophy in Quebec, Canada? If I'm really honest, there is nothing easy about the trajectory my life has taken. Being Alaska Native for me includes a very high level of responsibility. I don't get to choose just for me. The choices I make are also always about meeting the demands of what it took my ancestors to get me here. I have only ever succeeded at anything because first my family made it possible. In the midst of that though I've made really unusual choices. There aren't many Natives working in philosophy. Try to find another Native with a wine cellar (besides my sister. She has one too.). Philosophy and wine are both things I chose because somehow they're reflective of who I am. At the same time, they are so outside what my family has done before me that I work even harder at them, focus even more in order to ensure they're not selfish choices. I guess I don't quite know how to answer your question except to say that I am very driven to do well by those that came before me. Anyone with this much luck better work that much harder to earn it. Question: Why did you turn from a career in higher education to the entrepreneurial work of Hawk Wakawaka Wine Reviews? Pursuing my graduate education in philosophy, and then going on to teach and research was deeply important to who I am. I am continuously grateful that goal was fulfilled in my life. It taught me so much, and made me a far better person. It also put me in contact with Native students, and Native communities around the United States and in other countries in a way I didn't have prior to becoming an academic. I reached a point though where I recognized if I stayed in academia I would become someone I couldn’t admire. I don't mean that this is true of anyone else in academia. I mean that it could not be a healthy life for me in the long run. The training I received from it is irreplaceable but for me to continue in academia would have meant living an imbalanced life. When I realized that I also realized I had to leave it. The decision was not hard to make. Once I recognized it was right, the decision was already made. But such a complete change is hard because it means everything else in your life is different after, and you don't know what that is going to look like. You'll always be facing something new. What I do now happened somewhat accidentally. 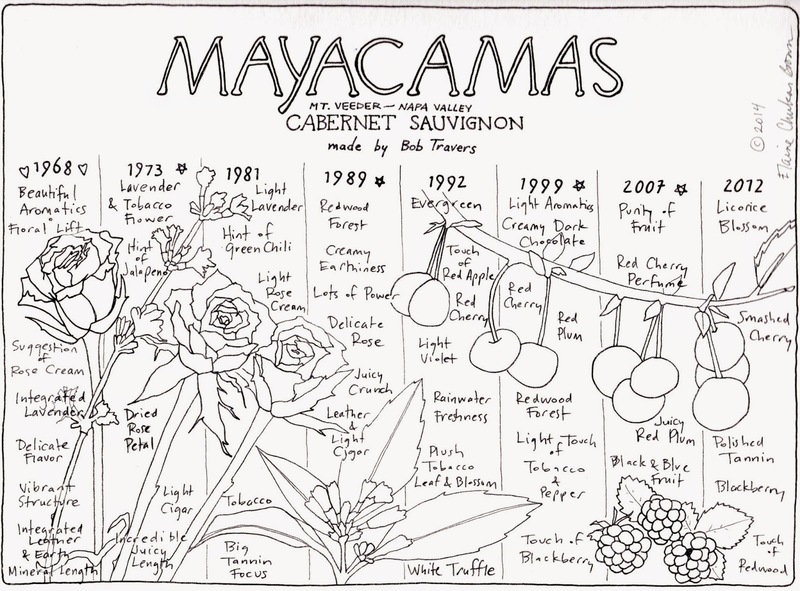 Like I said I needed an outlet so I started drawing, and then came up with the idea to draw wine tasting notes. I had already been studying wine before that point. After leaving academia I didn't know what to do instead because I had given myself so whole-heartedly to my career in philosophy it was not an easy change. But I had decided to draw, and just kept drawing, and then eventually was writing about wine as well, and by just sticking to it over time it built into what I do now. It is still quite hard because I am always scrambling to have enough income, and because I push myself very hard. At the same time, every day of it feels like a miracle because I sort of can't believe I survived so much change and turned my life into this feast for the senses, meeting people whose work I admire. I give thanks every day for all of it even the hard parts. My promise is to claim the blessing of every challenge. That's how I thank the people that got me here, my family. Quyanaasinaq, Elaine Chukan Brown for agreeing to the interview.